Spring is represented by a wide range of pastels and brights, which is why we are giving away our popular Flare Eye Shadow Palette this month! 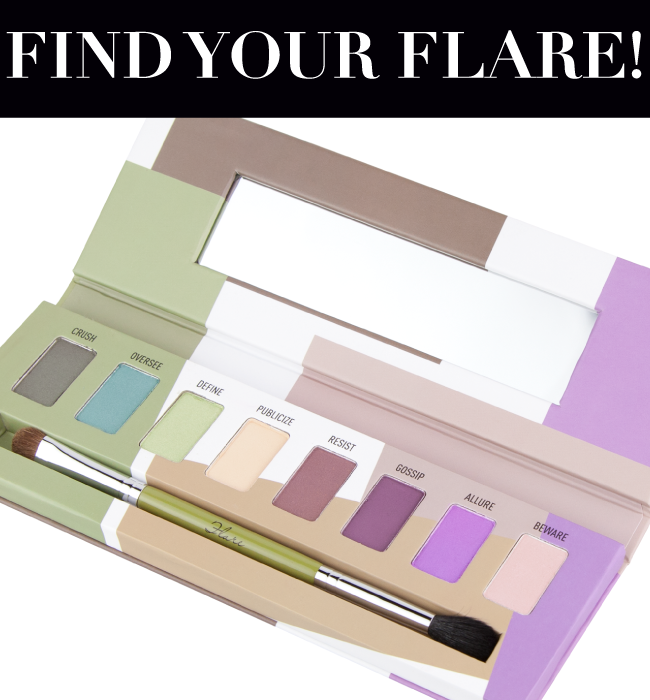 The Flare palette contains all the right colors for spring – light green and aqua hues plus various purple shades, combined with neutral browns and beiges. - Fill out the form below with your name, email address, website (if applicable), and tell us your favorite eye shadow colors for spring. great giveaway, good luck to all.. I love neutral colors, plus in some cases like a lot of vibrant colors. This pallette is PERFECT! Fingers crossed! I will do a review on my blog if I win this! WOW...Great giveaway...Gud Luck to all! This palette will be the more gorgeous this spring! cant wait to get sigma palettes sometime soon love to try out and do review . Thank you for your wonderful giveaway! Beautiful colors in this palette! Love it!! eu amo as cores dessa Paleta.. Eu amo os produtos da Sigma! love the colors so much!! Love thissssss Beautiful colors! spring is here! This palette is my dream ! of all three palettes this is the one that keeps catching my eye! I would love to win this! that's defiantly a wonderful present to have. i wish if i would win !!! nice colours! would be perfect for the spring! Beautiful colors!! Thank you for your wonderful giveaway! У меня пока нет любимых теней на лето. А эта полетка просто замечательная, отличные цвета. I LOVE this giveaway!!! I REALLY, REALLY want this palette!!! I've wanted this for a very long time, but I can't afford it. I'll do a review on my blog if I win!!! Thanks so much!! I REALLY, REALLY want to win SO BAD!! I've never won anything in my life, so this would be truly amazing to win!! Thanks again for doing this giveaway! I bought all 3 of these palettes & ended up giving this one to a friend. I had the old packaging & would love to have one with the new packaging & I want the brush it comes with! These are great quality & you can create more looks than I thought you would be able to. I want to win! Not sure if my entry went through, I submitted through my phone & the form just disappeared? I'm in love this palette! My favourite colours! I think I filled out the form twice, could cancel one ? i just enter cant wait until winners are announced and to whoever wins congrats and to thoes who dont win well you all are winners in every way even if you didnt get a gift you are a true beauty skin deep. I love the colors - all are my favorite, especially the shades of purple. Thanks for this awesome giveaway! These are great eye shadows! Perfect spring shades! Thanks again for another giveaway SIGMA!! !